Isn't this the cutest picture? The little brotha patting Pres. Obama's head is the son of a White House staff member. Little man wanted to see if the president's haircut felt like his own. 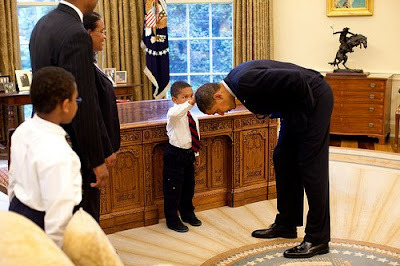 Yes little man, there is a black president.